Quality built by CaraCo and loaded w/upgrades! 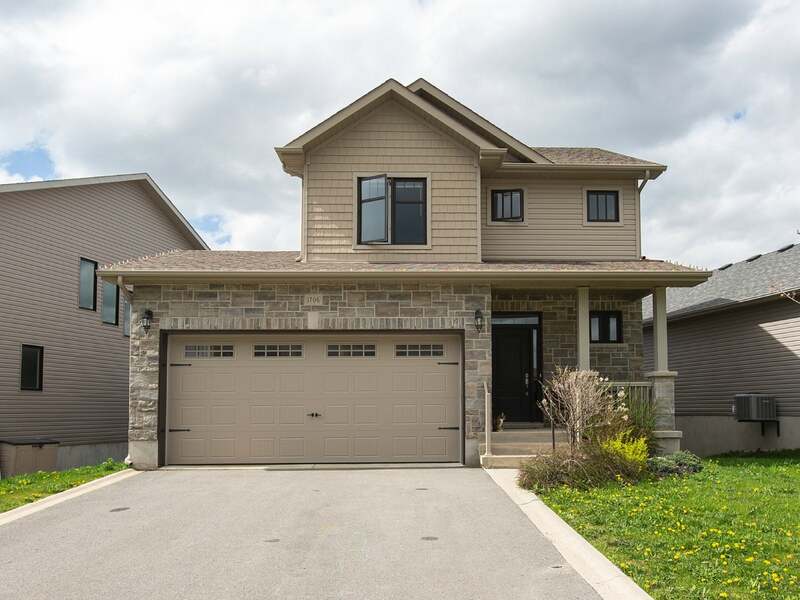 This EnergyStar efficient home features over 1,900 sq/ft finished, 3 bedrooms, 3.5 baths & walkout basement; all set on a quiet street in popular east end neighbourhood. Hardwood, tile & 9ft ceilings on main floor, gorgeous maple kitchen w/crown mouldings, under cabinet lighting, tile backsplash & large centre island w/2 sided breakfast bar overlooking the dining room. The great room features dramatic vaulted ceilings w/pot lighting, built-in speakers, corner gas fireplace w/floor to ceiling stone surround & patio doors to covered deck w/gas BBQ hookup. 3 bedrooms up incl. master w/walk-in closet & luxurious ensuite w/tile & glass shower. Professionally finished lower level w/rec room, oversized windows & patio doors to concrete patio plus 3-piece bathroom, laundry & lots of storage. All this plus central air, HRV, on-demand hot water, paved parking for 4 cars, concrete curbs and double attached garage w/opener. An absolute pleasure to show. Floor Area 1,515 Sq. Ft. Lot Size 66 x 104 Sq. Ft.